This page shows the latest ICU Medical news and features for those working in and with pharma, biotech and healthcare. $223m royalties. $142m. 1.6. Cardiovascular 2016. China Medical System. Plendil China. ... 1, 120. 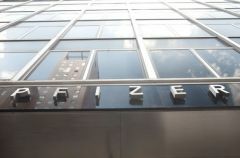 Hospira / Pfizer (US). ICU Medical (US). Asset Acquisition.